← Do we still need the poster? 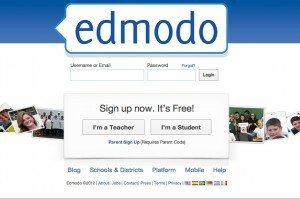 edmodo is an online tool that allows teachers and students to connect and collaborate. I have used edmodo before with grade 5 students, but this is the first year I’ve used it with grade 3. 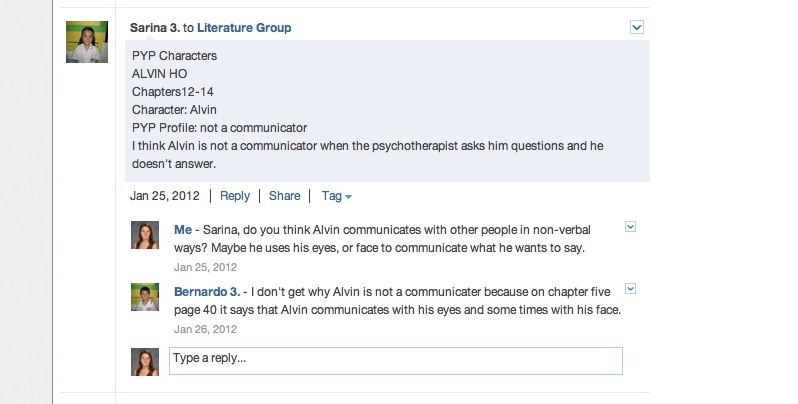 I started with setting up one of my reading groups on edmodo to conduct their literature circles. So far, we have had success! The students are enjoying communicating and discussing their shared book both at school and at home. The students are beginning to develop the skill of referencing text while engaging on edmodo. The following snapshots show a few discussions my students had as we read Because of Winn Dixie. You can see the students referencing pages and specific text selections to support their opinions. This is also transferring over to when we meet face to face in class. As I don’t see each reading group every day, edmodo allows the students to continue their literature circle without having to wait for face to face time with the teacher in the classroom. The students are engaged and able to connect with each other through this online tool. They have also recently started uploading documents such as a Wordle used by one student for her role as an illustrator. We have also recently added our Literacy Specialist and the students were more than excited to share their discussions with her as well. Next, would like to connect with another class reading the same novel. Any grade 3 classes out there reading Wayside School series or the Poppy series? If you haven’t checked out edmodo before, I recommend it. It is an easy tool that allows your students to continue discussions outside of classroom walls. This entry was posted in integration, Reading, technology, writing and tagged edmodo, literature circle, reading, wordle, writing. Bookmark the permalink. This is a great idea! I’m a firm believer in lit. circles and use them all of the time with my Grade 5 students. Will check out Edmodo. Sounds perfect!